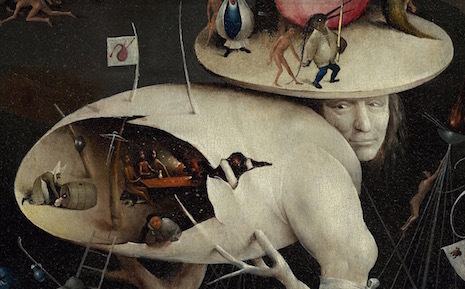 There’s a stunning website dedicated to Hieronymus Bosch’s “Garden of Earthly Delights,” one of the great (and enduringly popular) treasures of “Early Netherlandish” art. 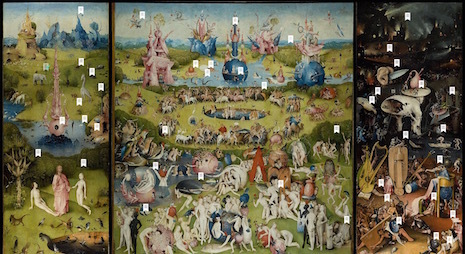 If you should check it out, you’ll be treated to a high-res image of the painting, Dolby-esque sound effects like snarling animals and lapping water, and an erudite series of audio clips explaining certain aspects of the painting, which you can take in sequence (as a tour) or investigate after your own fashion. The real thing is at the Prado in Madrid. 1. People of that time didn’t necessarily know what an elephant looked like. Next Post What's Wrong With Our Culture?